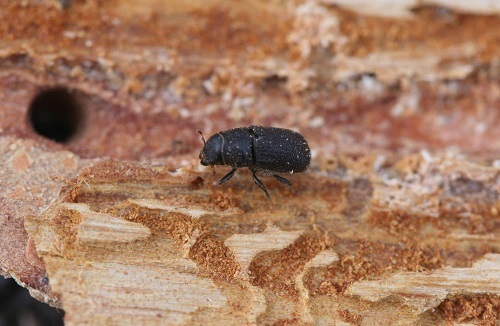 Bark beetles and fire behavior are the focus of the Don't Blame the Beetles article in the October 2014 issue of Science. The article highlights recent research that indicates that the causes of western wildfires are complex and raises questions about policies that promote the removal of insect-damaged trees to reduce fire risks. Headwaters Economics just released a white paper outlining ways to address the rising costs and risks associated with fighting fires in the Wildland Urban Interface (WUI). Researchers at Headwaters Economics have proposed solutions that involve local, administrative, and legislative authorities in controlling the "pace, scale, and pattern of future home building in the not-yet developed portion of the WUI". Visit the website, read the paper, and/or listen to the interview with Montana Public Radio. 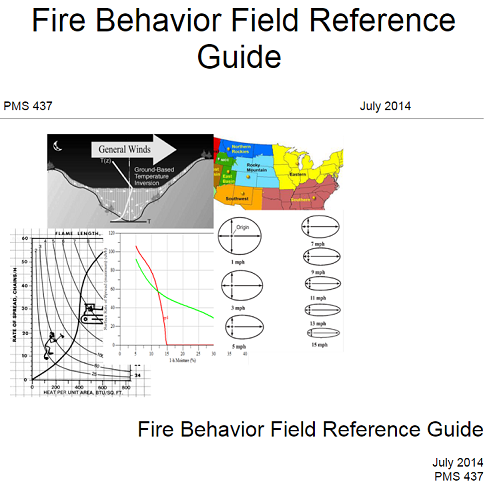 The Fire Behavior Field Reference Guide is a hands-on user tool for field-going Fire Behavior Analysts (FBANs), Long Term Fire Analysts (LTANs), and other operation personnel. It contains references to fuels, weather, fuel models, and terrain features that are vital to field-going fire managers. 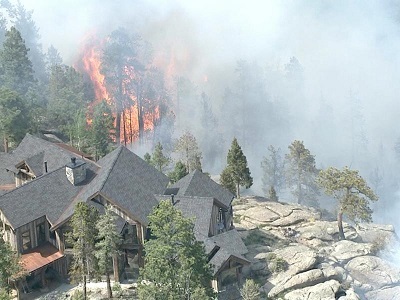 The National Wildfire Coordinating Group's Fire Behavior Subcommittee will continue updating the guide as new science and technologies become available to assist with decision support, fireline safety, and fire behavior interpretation. Read the updated guide, now available electronically. In 2004, the Wildland Fire Leadership Council signed the charter that launched LANDFIRE. 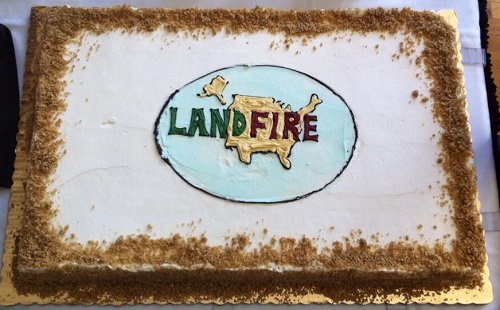 With “LANDFIRE National” delivered in 2009, the focus shifted to data updates and a remap. Since the original product suites (circa 2001) were developed, LANDFIRE has created and provided five additional spatial products. For course descriptions and registration, visit the website. Upcoming - LANDFIRE 2012 (the sixth version) is in production and will be completed for the conterminous US in late 2014. Alaska, Hawaii, and the insular areas will be completed in early 2015. 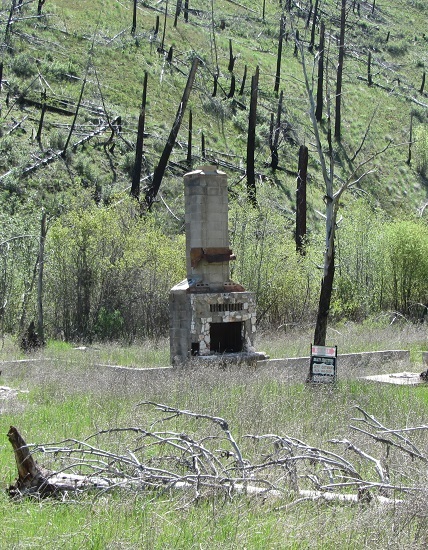 Submit your abstracts now for the 13th International Wildland Fire Safety Summit and 4th Human Dimensions of Wildland Fire Joint Conference, to be held April 20-24, 2015 in Boise, ID. Join others from emergency services, state, federal, and local government, industry, NGOs, research, and education. Deadline for submissions is December 1, 2014. Is proportion burned severely related to daily area burned? CONTACT US -- We'd like to hear your suggestions, ideas, and questions.